I'm having problem with atmospheres and oceans on Terras, Deserts, and Titans. Halp! 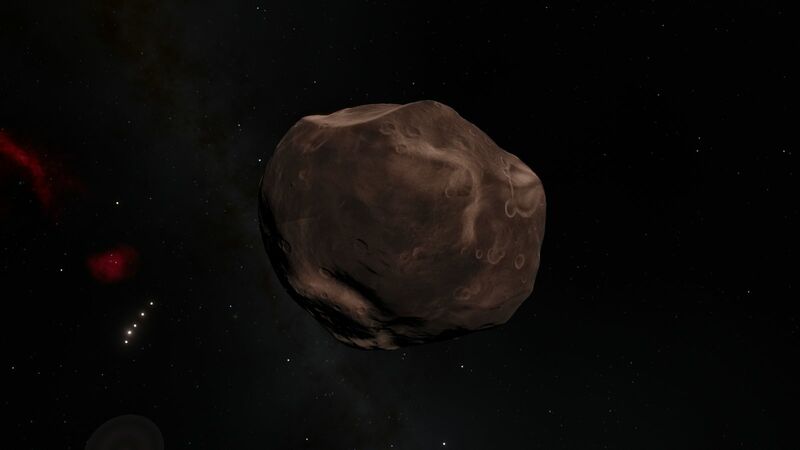 My asteroid looks unbelievably hideous,and probably not what it should look like. Do you mean something like this? I think it looks funny. 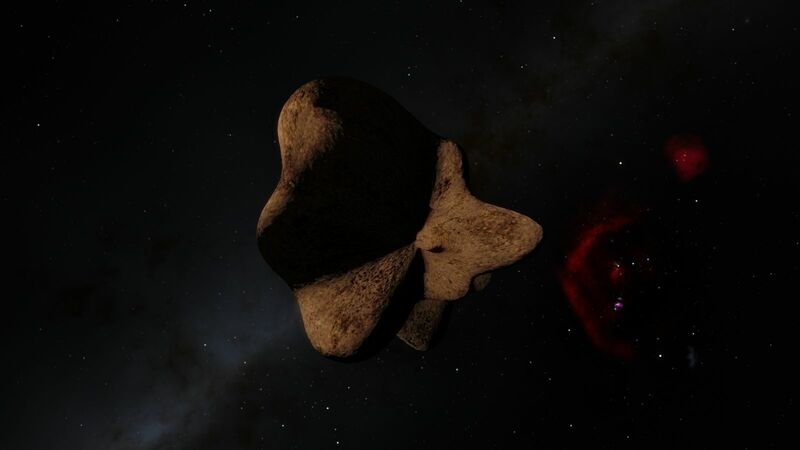 The reason is that the surface parameters do not match such a small object. Furthermore, Mass and Radius match not good. And the SemiMajorAxis is much too large. DwarfMoon "S2010 J 1/Jupiter LI"
For custom textures such as custom rings, where would I put them? Hello I'm having difficulty creating a new planetary system. 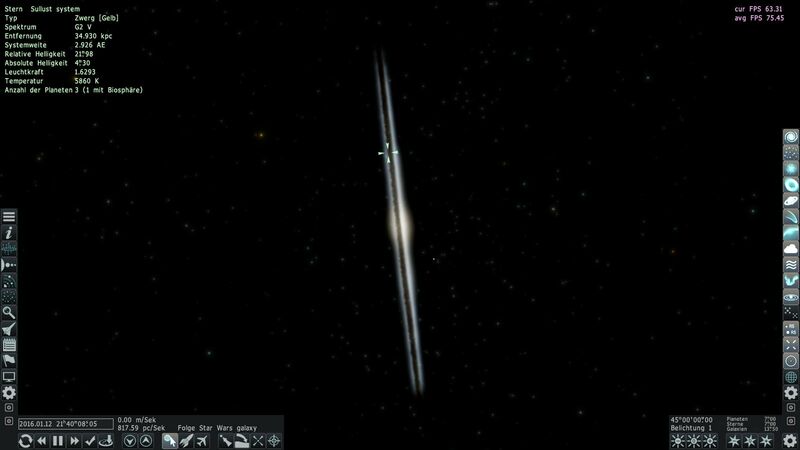 Basically the star does not appear where I want it to (it floats in the space between galaxies) and there are no planets. The distance (Dist) is a little big. That is deep in intergalactic space. Instead of 382 million parsecs I would turn it into 382 945 or 3829.45. You may remove it and smply set "Sullust system" as a parent for planets. Tried that, it causes the sun to disappear and the words ERROR to be displayed in Type and Spectrum. This is a very cool feature, but I'm have a few problems with it. First, my systems seem to be ignoring the ages I set for them. I also added some planets to Alpha Centauri, and Alpha Centauri Bb turned into a gas giant the size of Saturn. 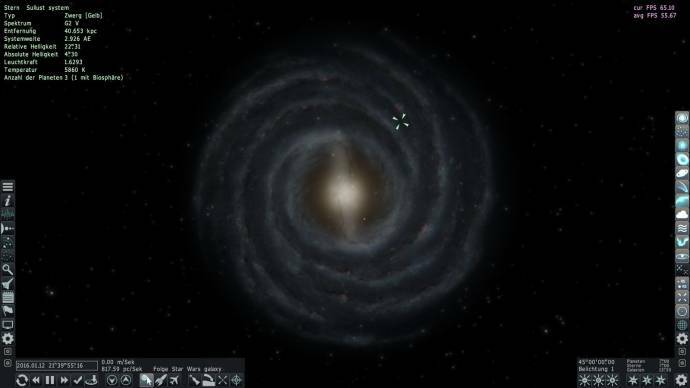 Edit: It looks like Space Engine doesn't like when you try to put planets around more than 1 star in a multiple system. Also, how can I just remove a preexisting planet? I have tried literally everything I can think of; it should, based on what little I know, be working fine. Everything I do either results in a star with no planets or a bunch of random planets with no stars, I even checked the log, nothing concerning my system indicates an error. I'm at a total loss. The star renders alright, but the planet is just not there. I have the StarBarycenter changed a little. Your system is now in the galactic disk. But I'm not sure that it would look for you the same way. The distance is just too big. At a distance of 383 million parsecs an arcsecond is about 1856 parsecs or 6056 light years. (If I have calculated correctly.) It is hardly possible to position an object on the distance accurately. 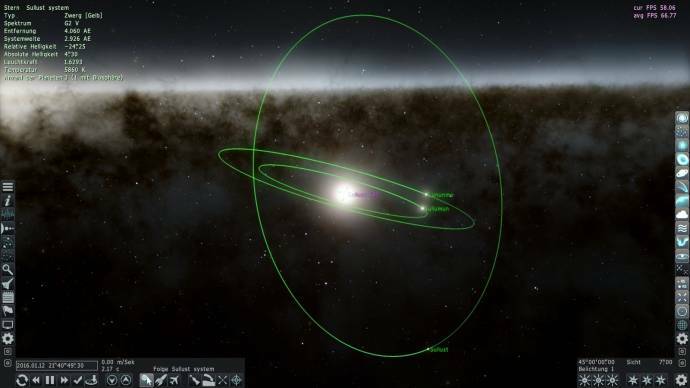 At this distance, the calculations of SE are somewhat random. Thanks, big help, but how did you get the planets to show up? As for positioning, I might ask Rocko how he did it. but how did you get the planets to show up?